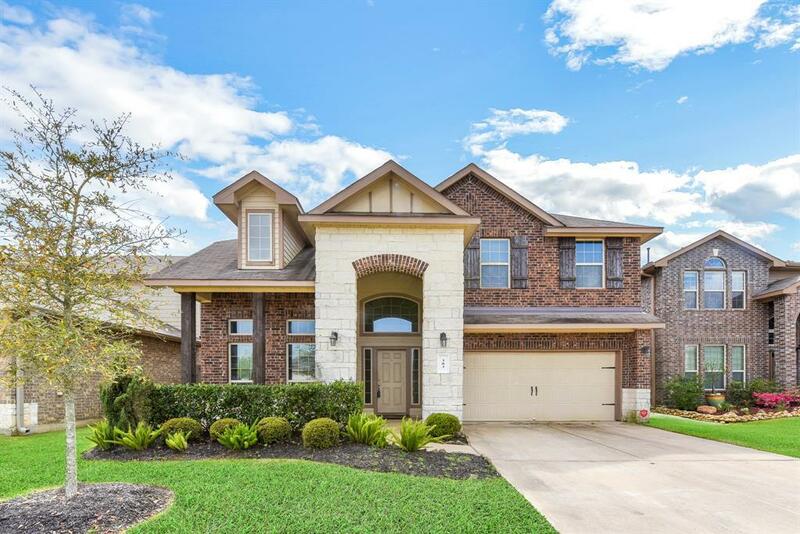 This beautiful 2 story home sits nestled against the lake in the beautiful Kendall Lakes Subdivision of Alvin,TX. 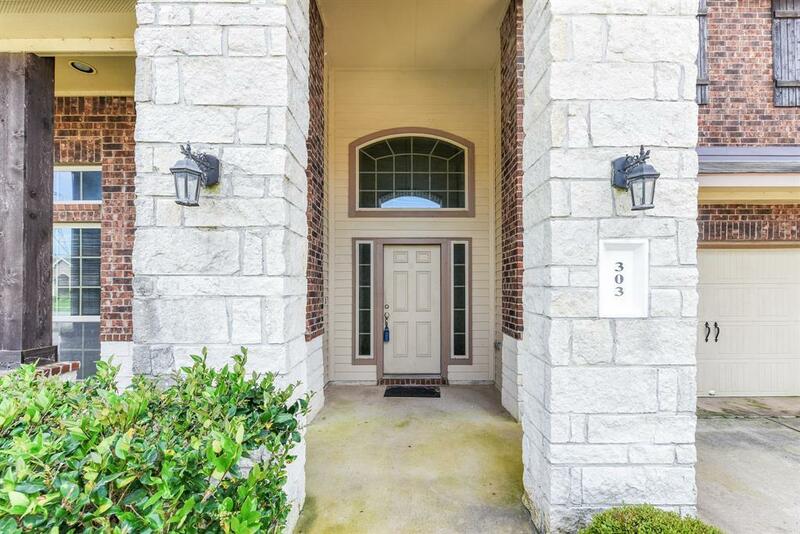 This property is a 4 bedroom 3.5 bath home with a 2 car attached garage, featuring a double-wide driveway, and lakefront location. 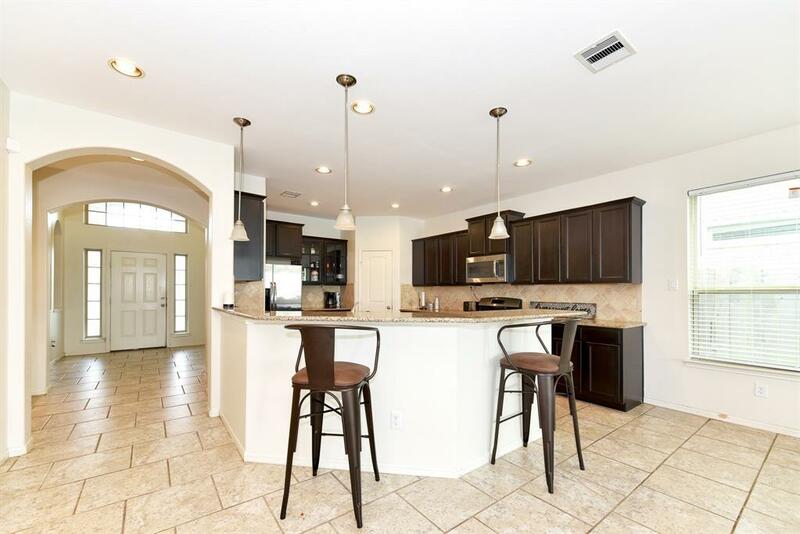 The covered patio lends itself to wonderful summer evenings of entertaining and relaxing while looking out on the lighted fountains in the Lake at Kendall Lakes. This home was built in2007 by D.R. Horton, and features a study/library adjacent to the atrium as you walk in the front door. The game room is located on the second floor with an over look to the front atrium. 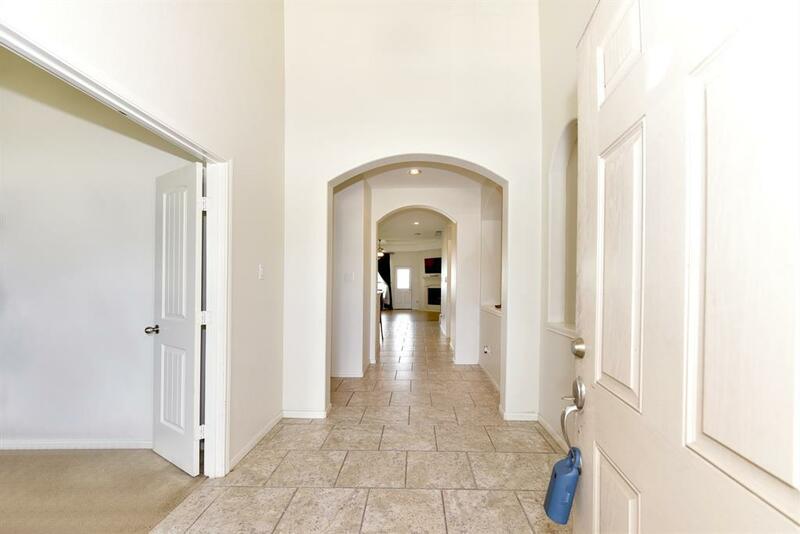 This home features two master bedrooms, one located on each floor of the house. Storage is plentiful in this beautiful modern home.This is definitely a must see for anyone looking for a place worth to call home!